It provides the ability to place monitors on everything that you have. You could even technically use this within an application. You write your own scripts to publish metrics that are important to you on the dashboard. You can then use these metrics to trigger alarms to do certain events. There is also the rules section which is just as powerful. You can schedule events with CRON schedules or on API events. This is incredibly powerful!! We use this system to trigger Lambda functions on certain API events ranging from resource creation alerts to S3 manipulators. The scripting portion of configuring your own inputs can be confusing. They keep changing how it needs to work on EC2 instances. It's becoming more comprehensive but the documentation is bit all over the place. We needed a way to see when users were creating resources in the wrong regions and alert us so we don't get charge. We built CloudWatch rules to trigger Lambda on EC2 creations and it works flawlessly. "Monitoring and alarms for your AWS resources"
Amazon Cloudwatch gives you the ability to create dashboards off of metrics.Since the cloudwatch can be very easy integrated with other AWS products thus it is a preffered software for setting alarms when things go wrong.It allows you to know the state and health of all of your infrastructure and you can alert, graph, and monitor the health and state of every piece. It solved the issue of not knowing the state of your system. Its can be used only for monitoring of your amazon resources. Also its takes lots of work to setup CloudWatch alarms - nothing is really straightforward. cloudwatch is a great way to get information about all your hardware in Amazon Web Service. It allows you to know the state and health of all of your infrastructure and you can alert, graph, and monitor the health and state of every piece. It solved the issue of not knowing the state of your system. Amazon CloudWatch is well suited for anyone that's using AWS and wants to see into their data, their traffic, or their system health. "Absolutely great monitoring tool for cloud applications"
I like the intuitive interface, you can have relevant alarms setup within minutes. We have mostly transitioned to an Azure based platform but AWS is second to none in support and putting the right options in front of you for your goals. Its so quick to setup, and to adjust relevant alarms. We dont tend to see the same growth of the platform with AWS as with Azure, it seems to have reached maturity while Azure still seems to be a bit of the wild west. Regardless, it so clean and intuitive to use that perhaps they dont NEED to grow in terms of features. I rarely run into a situation where what I needed to setup wasnt immeditately clear, and when I did AWS support was quick and helpful. From a sheer useability standpoint I would recommend AWS in general over the competitors, that includes the Cloudwatch service. So clean and easy to use, it receives an A+ from me. While we have mostly transitioned to an Azure platform, we still have some customers that prefer to remain within the AWS family. We use this tool to monitor their EC2 and other services for issues, and then to send alarms when necessary to the appropriate teams. "A powerful tool for cloud management." The best part about CloudWatch is the ability to set up and remove alarms that can communicate with Amazon's Lambda service to auto run functions. This is useful whenever you need to script something whenever a certain usage level is reached. With so many different metric options available it can be kind of difficult at times to get the exact type of metric you want without having to have a multitude of metric options on. The business problem most small scale companies run into that aren't on the cloud is that of usage. The question of whether we're using our servers effectively isn't always a readily available piece of information to view. With Amazon CloudWatch combined with elastic load balancing and auto scaling on EC2 instances, this process of scaling up and down the number of EC2 instances becomes a breeze and an effective means of computing on the cloud. "Great cloud monitoring service for our workloads"
Cloudwatch assists us in application performance and workload visibility. Additionally it helps us with forecasting future needs. The exports help us with reporting and the biggest problem it solves is that it helps us actually fix the performance issues as a results of being able to identify them in the first place. "The best monitoring service offered by amazon!!" 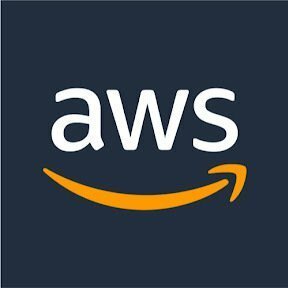 i have been working with Amazon CloudWatch , and it ease the work managing AWS resources and AWS services which includes Amazon EC2,EBS,S3, and there is no limit on the number of instances, with that you can monitor your instance with various monitoring aspects and different parameters, you can also able to download the generated matrices and also watch on the console,you can also set alarm threshold and define the actions to take which is very interesting feature of AWS cloudWatch!! the Quality of support is not so good , and pricing are little bit high!! it's very easy to use software product to manage all your AWS resources , it'll customize the all management task for AWS resources!! we're using Amazon CloudWatch for 3-4 years to manage all the resources and services like EC2 and S3!! "The Best Monitoring Software Or Service offered by Amazon." Amazon CouldWatch Makes it easy to monitor The Service of AWS making is easy for administer, Root user or Developers to keep the track of the usage of the various service and tracks the cost incurred of the service enable. easy to use an alert mechanism and provides a variety of matrix, graphs and dashboard. I wish there were more built-in metrics to monitor out the box. Additionally, and More importantly AWS couldWatch alarms are always ON. This might not seem to a bad thing initially as you have think you went to get alerts for most things you put alarms ON. We can not dawonlod logs for Amazon CouldWatch. Alert mechanism help to observed cost, health and status of infrastructure. It provides a good interface to view health of system. from a business intelligence point of view and performance monitoring when the organization using multiple Amazon Service, CouldWatch is very beneficial and save time Service. "If you have no other alternatives, use CloudWatch for your logging"
Readily available SDK, and package support in Python. Don't know about other languages. It being aws, there is the robustness that is expected from it. SDK support is good enough for python. I was even able to find third party open source libraries as wrapper around the SDK which make using CloudWatch for logging easier. I have only used it for logging. No way to visually differentiate between logs. Inability to filter logs properly. As usual AWS lacks the intuitive UI it could really use to make it easier for the users to leverage the power AWS provides. If you want to use it for logging, use it only if you can't use any other better alternative. Alarms and monitoring work good. I use it for centralized logging in the cloud. It does record the logs properly, so allows scanning over the execution of services at one place. "Basic but reliable, simple, no-brainer"
The reason this is a no brainer is because if you use AWS, it comes OUT OF THE BOX. Woohoo don't even need to install datadog or New Relic. You just go to the AWS page for your machine and wala! There's a interactive, searchable graph for most metrics you care about. The UI is a bit ugly, but so is the rest of AWS. You also can't send custom metrics to AWS so it's not customizable at all. Yes you should use AWS and Amazon CloudWatch because the set up is so easy and CloudWatch comes at no additional cost. The main thing is detecting problems sooner. With Cloud watch, anomalies are easy to find so you can start debugging an issue before your users can complain. "CloudWatch - Flexible Log Management At A Great Price Point"
Managing log retention periods is very simple with CloudWatch, and can be configured on a per-group basis. Monitoring host performance is very easy when coupled with the CloudWatch Agent on an EC2 instance. A simple installation and configuration replaces an entire 3rd-party host monitoring stack. Unfortunately, the CloudWatch dashboard does not provide the ability to create histograms of discrete counts. This makes it difficult to, for instance, use CloudWatch to quickly identify specific IP addresses that have a high request volume in a certain period. Choosing CloudWatch to manage log aggregation has saved us quite a bit of time and money over the past year. Generally, 3rd-party log aggregation solutions tend to get quite expensive unless you self-host, in which case you typically need to spend a fair amount of time setting up, maintaining, and monitoring these services. We use Amazon CloudWatch to maintain logs across all of the different services that inside our infrastructure. It is primarily used across our engineering and dev ops departments. Using CloudWatch logs allows us to address compliance issues associated with log retention because it is very easy to configure an expiration for log files. "Amazon CloudWatch - Awesome tool for Insights of Billing , Logs and Performance in AWS cloud"
Amazon CloudWatch makes it easy to monitor the services of AWS making is easy for administrator ,root user or the developer to keep track of the usage of the various services and track the the cost incurred (through Billing option) of the services enables . It also helps in monitoring the health when it is used with Clod Agent on a EC2 instance. Setting Alarm and Alert option are also some of the best feature of CloudWatch. Cloudwatch doesn't provide any option to quickly filter out and identify specific IP addresses that have a high request volume in a certain time frame. Use of Amazon CloudWatch is highly recommended for monitoring the EC2 services,etc. Also for a individual developer its recommended to use CloudWatch to track the bandwidth of the service used and Billing details. From Business Intelligence point of view and performance monitoring when the organization is using multiple amazon services , CloudWatch is very beneficial and saves time and money as it is integrated with AWS.Using other 3rd party services for same might be costly for the organization. "Must needed companion for AWS Cloud"
Must needed service while deploying & maintaining infrastructure in AWS Cloud. - Alert mechanism helps to observe cost, health & status of infrastructure. "Amazon CloudWatch is an essential tool for governing your system-wide resources and app management"
It helps us manage our budget. It is very good.We use cloud watch in debugging production issues and tracking trending data. Development team use it in our development environment to debug new code. It solved the issue of not knowing the state of your system. Better debugging and pointers to save money. I love almost everything about it. Although budget based stuff should be more. I would like the ability to create more customization dashboards. cumbersome compared to other solutions. you do not get a bang for your buck. Ability to have control and customize it with a script. I am not able to create a script that would meet my needs. Amazon can do better on giving better pointers so that users can save more money. Better and bigger graphs would be appreciated. Setting alarms when things go wrong so we get alerts. Its integrations with other AWS products. Having structure and control for money. Amazon CloudWatch alerts appear to only allow you to set “Alarms” for things already exposed & integrated to publish metrics to CloudWatch. Additionally, and more importantly: AWS CloudWatch Alarms are ALWAYS ON. This might not seem to be a bad thing initially, as you’d think you want to get alerts for most things you put Alarms on. However, in practice and at a large company this starts down the slippery slope towards over-alerting and Alarm Fatigue. It also means that the more alarms you have, the more possibility that you or your coworkers will be WOKEN UP IN THE MIDDLE OF THE NIGHT UNEXPECTEDLY or have to handle an alert 24/7! Setting up logging, alams, and dashboard views of our AWS infastructure. Love the pay as you go modle and overall product optimization year after year. "If you're using AWS, to host servers - Use CloudWatch to monitor them." I like that Cloudwatch comes out of the box with built in metrics to monitor for EC2, Storage volumes, Load Balancers, Cache software, Databases and Amazons Simple Storage (S3). I also like that you can install modules on your servers to monitor whatever you like with CloudWatch. I wish there were more built-in metrics to monitor out of the box, but I'm sure it's coming with time. Amazon is constantly developing new and improving their tools. There are plenty of other monitoring softwaretools out there that do the job. Honestly the support from Amazon is great compared to what we've experienced. Be ready to come with a successful company before using amazon though, they do charge a pretty penny. With CloudWatch we've set up dashboards which allow us to monitor all of our critical production systems as well as any environment or set of machines we need. It's very easy to navigate and it's also very clear what we're paying for what we're monitoring which isn't always the case with other monitoring tools. Amazon CloudWatch is a monitoring and management service built for developers, system operators, site reliability engineers (SRE), and IT managers. CloudWatch provides you with data and actionable insights to monitor your applications, understand and respond to system-wide performance changes, optimize resource utilization, and get a unified view of operational health. With Amazon CloudWatch, it is easy to get started. There is no up-front commitment or minimum fee; you simply pay for what you use. "Powerful Tool for Application Management"
The integration of Cloudwatch with AWS's entire platform. Implementation for logging is as simple as linking applications and Lambda functions. No longer does one have to manually manage system logs in low level servers. Cloudwatch allows for metrics other than logging such as realtime application performance and urgent error attention notifications. The Cloudwatch platform is not intuitive to use. There is a large learning curve to the system and notifications are obnoxious rather than helpful. Application prioritization is not available and interface is unchangeable. Alarms are unorganized and do not clearly show metrics such as Application and date/time. AWS CloudWatch works great if you are already taking advantage of AWS's services, this way, everything is connected in a single platform. No longer do we have to manually monitor logs and analyze logs to gauge performance. Cloudwatch allows us to seamlessly integrate logging with all of our AWS services and have a consolidated view of all activities on the platform. Notifications can be set to alarm us when attention is needed. We have realized that the need for in house servers has dropped significantly. "Important monitoring service for your product "
+ It is usefull to get an overview of data. + Ease to integration with AWS. + CloudWatch is low cost and allows us to get enterprise level monitoring. + Captures all the important data for your EC2 and EBS instances. Thus you can retrieve the bill info. + Many of AWS services can't be use with CloudWatch such as S3... I don't know why. + The UI design can be better. + CloudWatch does not give you any recommendations, so you have to know what you're doing. Adding more metrics so we can hook to more operational processes and information. We use Cloudwatch to measure our usage in RDS and EC2 instances. It displays the current status of the suite and identify whats going on..
"One of my favorite AWS services"
It has everything you need for monitoring your system. It can check the CPU, Internet, etc and alert you it any of them triggers the metrics you set. It can send message to lots of other services like SQS, SNS, ELB, etc. Very reliable and flexible. Definitely a must learn if you want to learn AWS. I have used it for long time and I have not found anything I dislike. Everything is so smooth. 1. Help you monitor system. 2. Help you monitor billing. 3. Can trigger other services if you need. It helps your business to monitor the system. It can trigger the other services if necessary and it can send you message if you set it up. A must-have for your VPC, EC2, etc. With CloudWatch you can collect data which are helpful in monitoring of you devices or services - logs, metrics, and events. The is that CloudWatch can be set to alarm you on particular events which you are interested so you can see if all is working ok. If it will be setup to run to often and on many servers it can be an expensive solution so like has to be done in reasonable manner. Mostly we use it for monitoring if services and servers are ok if not to inform us also it monitor costs in aws. "Great log platform for Cloud "
It is over the cloud, so I do not need to worry about software installation. I just created few alarms and automatically the logs are getting generated. Our whole project is deployed on AWS, simply loving the cloudwatch. It is taking bit extra time to generate realtime logs, around 4-5 sec delay in log generation which I have noticed. After running the app in real time we have to wait for few seconds to generate the new log. I will recommend to others to use cloud watch. It is very light tool and easy to use. My colleagues are likely started using this platform for their project purpose. AWS has one good feature on single login you will able to access all their software development tools. Also you can activate the services easily. Every application need log to check what is happening around the application. This is done by AWS cloudwatch for our application. This is a great cloud platform to monitor logs. We can create alarms to get notify. There are few more great features like auto scale, db monitoring and security. "Ideal way to figure out the CPU-utilization"
The name stands out for itself to a large extent and i prefer the disk read and write operation and also network in and out mechanisms apart from the best way to tap into the CPU utilization for AWS based clustering,i use a lot of clustering and regression algorithms andthe name stands out and makes a niche for itself in a way,here i dont have to modify or change the already set ports and notifications are linked to email address. "Must needed service for AWS Cloud"
Does not provide much ability to create more customisable dashboards. Must have service which working with AWS Cloud Infrastructure. Helps a lot while setting up infrastructure as well as maintaining infrastructure. CloudWatch metrics helps to monitor important KPIs and performance metrics for our business. Helps in debugging production issues & tracking trending data. "Cloud monitoring service on steroids"
Basically it's a monitoring service for AWS ... but it so much more. It allows you not only to monitor and track every metric of your environment. You can easily create autonomus monitoring system reacting to changes in cloud infrastructure or to application events. You can create your own alarms, own metrics or even collect and track log files using CloudWatch Logs. It's flexible and easy to use and what's realy importand deeply integrated with almost all AWS services. You can create time based events (cron like) to trigger defined actions or lambda functions. Metrics presentation layer, especially custom dashboards could be improved. I would really like to create multi metric and multi event dashboard that could be used by our NoC team to monitor our whole AWS infrastructure in one place. Instance memory metrics should be accessible as native mertric not as a custom one. You can monitor metrics of your EC2 instances, databases and your own applications.If you put a litte work in to it, it could be only monitoring tool that you need for your AWS Infrastructure. I't reliable, easy to configure, easy to use and works with almost all AWS managed services. Monitoring our public cloud environment. We'r using it in so many ways: for auto EC2 instance auto recovery actions when there is a problem with underlying hardware or instance operating system, we'r running scheduled events like volume backups or stopping/stargin EC2 instances, we'r tracking application logs and triggering some lambda functions when predefined event occur. "CloudWatch watches while you sleep!" Cloudwatch is extremely dynamic for managing your services when it to monitoring. You can view your deployed services calls by setting the time-frame as you how far you want to go in history. YOu can also set alarms for multiple things, like when a deployed service on the EC2 instance starts consuming more memory than it actually should. Defining rules as decide what should happen at what time frame, like a dataload to take place everyday at 3:00am. Thiings like these help you manage the deployed services and only lets you know when something goes wrong. Like a service stops working, or maybe a depoyment failed, etc. The most important part is the Logs. The developers can anytime open the logs, and debug their services using those logs. CloudWatch has pretty well managed the service watch till now, and is very good at it too. Something that catches your attention(negatively) multiple times is the UI for the Logs. Though the developers can monitor the logs and debug the service in real time, once there is a huge amount of loggers, the UI does not seem to be too friendly for you to look into, and actually, takes a toll on the person doing the job. In case there's a need to monitor the logs, I'd suggest directing the logs to AppDynamics. We have been developing microservices in SpringBoot and deploying the Jars on Amazon EC2 using the Jenkins pipeline pointing to private Github. As compared to a scenario where we deployed the services to a docker on a server, this works way better. We could only see the command-prompt logs in docker, but now the logs are dynamically loaded, with multiple features taking care of the memory and data aspects. "Very good product to dev fast and enable new AWS features"
At my previous startup (Theneeds), using CW allowed us to build a monitoring platform w/ no maintenance. We had to set up statsd+graphite for application metrics, mostly because we were unaware that we could have integrated them into CW (or maybe that wasn't available yet). But I'd certainly go for CW if I had to today. It's also a must to enable features such as autoscaling, and adding application metrics can enable interesting use case like scaling preemptively (e.g. when the number of users increases, before even they trigger cpu-intensive tasks). At my current job scale is much bigger, so we have internal tools for monitoring and metrics - while it'd be possible to integrate w/ CW, it's prob too expensive. There are many interesting applications that CW could help build, especially with focus on security, like tapping into network traffic in a much scalable and efficient way that what current biz partners offer (which I understand, would only apply to a very small number of AWS customers though). System metrics are mostly needed in case of emergency, and this is when you realize they aren't working. It's a ton of effort for a small team, and CW completely removes it. The other great thing is understanding your patterns, e.g. how cpu fluctuate during the week, so you can set up autoscaling and verify the improvement. "Amazon CloudWatch helped me fix my problem"
Amazon CloudWatch is a great method of seeing what has happened to your system when you cannot view it directly. This allows you to view problems that happen overnight or anytime. Amazon CloudWatch is a bit difficult to setup. Once setup, it runs without a problem. If you need to find out what is happening with your EC2 instance use CloudWatch. I had an EC2 Linux system running that was constantly failing and could see why it was failing until I got CloudWatch to monitor the EC2 instance. After i got CloudWatch started I was able to see the problem and correct it. It was great. "Help in the wost of times"
I like cloudwatch because it is a catch all place for many different services running on AWS. It allows me to do a quick check when things have gone wrong to see if I can spot a possible cause. It can be a little overwhelming to dig through logs and other information to find problems but can be a lifesaver at times. As stated above, it can be hard to discern problems at times due to the amount of information being collected and having to sort through it. Read the docs first and really try to target the metrics and events your are looking for. Too many events/alarms and you'll get lost. It helps us to have a first stop in diagnosing a problem to keep our operation running smoothly without orders getting lost in the mix. "Perfect for collecting and tracking all your metrics!! GAME CHANGER!!" We worked with an organization that didn't have a great handle on their monitoring services so every now and again, applications weren't available and/or changes weren't made within the proper timeframe. Once the group implemented CloudWatch, they had significant visibility and were able to collect data on available resources as well as metrics. Setup was easy and the customizations were fairly straight forward, but as the team was not familiar with this tool I believe it took a little more to set everything up than what was previous expected. By leveraging CloudWatch, you can get a handle on all the applications, availability services, monitoring services, etc. that you wouldn't otherwise be able to easily access. Lack of visibility into resources and monitoring services.By leveraging CloudWatch, the group was able to achieve gain system-wide visibility and maximized their resource utilization rate. Plus, all of the application ran smoothly once this product was up and running. "Task scheduler made easy for AWS"
The way it schedules the tasks is good. We have the option to link it to multiple events and set them as a trigger to run other tasks automatically. We can also set the cron and schedule them accordingly. The way we setup the triggers are bit complicated. We have to script them in json and I feel the AWS documentation on this needs to be more elaborative. Other than that it’s quite a good one. In my organization we enabled multiple cloud watch events to be triggered based on other critical events. Some of them include backing up the ec2 elb while according to the power schedule and maintenance windows etc. "Excellent way to monitor my AWS resources at a very good price"
Managing log retention periods is so easy. Excellent tool for host monitoring in addition to application monitoring. Building cloudwatch dashboards can be cumbersome. You have to navigate through various screens to get the metrics you want to add. You have to build alerts and alarms yourself. CloudWatch does not give you any recommendations, so you have to know what you're doing. It is a perfect product for firms already using a number of Amazon services as a part of AWS, as most of them integrate well with CloudWatch. It is easy to configure retention of logs and export them to S3. I don't like the UX part because it is not very intuitive. In case you need more of the BI stuff, I would say export the logs and use either Tableau/Power BI. We used Amazon CloudWatch to collect and track metrics, collect and monitor log files, set alarms, and automatically react to changes in your AWS resource. "Best solution for monitoring multiples AWS services"
Possibility to interface many aws services with Cloudwatch. Are a managed service which can be easily provisioned from within your AWS account with no extra purchases. They are easy to work with via AWS console or CLI. You can search the logs or filter them easily via one or more metric filters. You can even tag CloudWatch Log Groups, making this task even easier. Not very simple to understand potentiality of Cloudwatch. Amazon CloudWatch can generate a substantial amount of useful data but interpreting that data is not always trivial. If you are looking for insights about optimizing your configuration then the data from Amazon CloudWatch could be helpful. "Makes your life in the cloud easy to monitor"
The ability to track and monitor a large number of resources that you use in the AMZ cloud. Being able to produce metrics, alarms and notify in case of any hiccups to your resources in the cloud is pretty amazing. Costs can be controlled for variable or stable load using cloudwatch. The alarms help my service operations team be able to look at any problems almost at real time. To be able to use the full potential of AMZ cloudwatch you need to be using the full suite of AMZ cloud services. DynamoDB, redshift and Lambda are products that go well with cloudwatch. Using cloudwatch and lambda our application is able to support dev ops to automatically scale up the infrastructure (spin up new servers / VMs on the go) to allocate more horsepower. My application uses DynamoDB, Lambda, Redshift and a bunch of other cloud based services from amazon. Being in service operations we require realtime monitoring and tracking, maintaining metrics, being able to scale up as needed and have the application team alerted when say DynamoDB is at high reads/writes or being throttles. Cloudwatch alarms help us tremendously to do this. "Works great, but you have to put in some effort"
Able to use CloudWatch events from existing services in order to configure alarms. Pairs well with partner tooling, such as PagerDuty, to alert on-call employees. Allows for customized metrics to report on. Can be difficult to maintain and see your alerts at a glance when you have a large number. We've had issues in the past setting up custom metrics where we had to define them in the console first before we were able to deploy a stack with them. Monitor cloud resources such as RDS instances (CPU, disk space), EC2 instances (CPU, memory, disk space), pair with autoscaling groups, alert when messages are pushed to deadletter queues, etc. I have been using Amazon Cloudwatch for over 1 year to monitor all the inhouse applications. Cloud watch is great with SNS to send out emails/alerts when certain thresholds are reached. It is also a great tool for monitoring Ec2 instance usage, termination and also checking lambda logs. Cloudwatch has some limits on things like - the number of alarms per month for free per region, number of API requests ; which can limit the monitoring capabilities for large companies with huge number of applications on cloud. Have been using AWS cloud watch on the console to view SNS topic metrics, using logs for debugging any lambda function failures. Also, graphs on the cloud watch integrated with different dashboards like SNS can be very intuitive to understand the usage of resources at real time. "Great but small feedback to enhance"
some metrics are empty and don't know why like for example if am not using t2 instance why the metric show cpu credit usage, this increases time I have to spend on documentation to understand or even call support to ask. optimizing rush hours to reduce resource and as result the bill. "Great for beginners, but lacks notification options. " I like that the data can be viewed in a graph format. Being able to see the exact time data spikes helpful when monitoring certain activity. I also like that you can set alerts that will notify you when something exceeds the set threshold. Alert notifications are only sent via email. I also couldn't find a way to send the alerts to multiple people. Since people collaborate on projects when alerts are sent it's necessary for the alert to go to the entire team. That way everyone is informed of what is happening, and if action is required it can be handled immediately instead of waiting on 1 single person that may be unavailable. Mainly used to gather data to monitor application utilization and performance. The data captured is also used to help with troubleshooting crash reports. "A great tool to get insights "
a great way to get information about all your hardware in Amazon Web Service. It allows you to know the state and health of all of your infrastructure and you can alert, graph, and monitor the health and state of every piece. It solved the issue of not knowing the state of your system. host all of our data in the cloud. They are at least partially responsible for guarding our data from theft and fire. Our organization instantly recognized the benefit of being able to administrate our AWS server instances via Amazon CloudWatch. If you rely on AWS in any way, you need to use Amazon CloudWatch. The context sensitive help could be written more clearly. CloudWatch is a great low-cost solution for infrastructure monitoring and alerting if you are an AWS customer. You basically get it for free and requires little setup. If you are not on AWS, you can't enjoy the benefits of CloudWatch, so if you are running multi-cloud, need to think about how you will monitor all of your resources and assets. We used it in our web app for improved response time for video streaming. Our web servers are already in EC2. It must be strongly to get access to all your data from a single platform. The Cloud Watch API can be used to easily collect, publish and store this data. The best and most remarkable thing is that with Amazon CloudWatch, there are no initial commitments or minimum rates, you only pay for what you use. Use is charged at the end of the month. Access from different platforms, such as API, command line interface (CLI), SDKs and the AWS administration console. You can use logs that allow you to use the customized logs, the system and the applications you already have to monitor the systems and identify problems that arise in systems and applications. in real time they can be monitored to detect certain phrases, values ​​or patterns. The negative is the payment, since you can not control what you have spent, so at the time of invoicing, the program invoices what you have used but there is no detail until the billing is done, which would change. Slight connectivity problems since it works with data in the cloud and online and if the server is being used, at least as I have used it, if it is more than 80% it is noticeably slowed down access to the cloud, so that partial and independent servers would also be another option that could be considered. I used it to define alarms based on the number of errors detected in the logs of the system or to see graphics of the latency of the web requests in the logs of the applications. So we could consult the data of the original log to see the origin of the problem. These were stored and then we obtained access to them indefinitely at the request of the personnel requesting it, as well as commercial and future customers, thanks to the storage of high durability and low cost without worrying about the fact that the hard disk drives are full, which happened daily, so this tool solved us a lot in terms of internal space. "Nice tool to get insights into AWS infrastructure." CloudWatch is a great low-cost solution for infrastructure monitoring and alerting if you are an AWS customer. You basically get it for free and requires a little setup. If you are not on AWS, you can't enjoy the benefits of CloudWatch, so if you are running multi-cloud, need to think about how you will monitor all of your resources and assets. No free support, Building CloudWatch dashboards can be cumbersome. You have to navigate through various screens to get the metrics you want to add, You have to build alerts and alarms yourself. CloudWatch does not give you any recommendations, so you have to know what you're doing. Being a cloud monitoring tool, it's important to be within if not integrated into the cloud environment. As CloudWatch is highly integrated into the AWS environment, it can provide detailed metrics that may not be available to other cloud monitoring tools running outside of the cloud. Although cloudwatch provides detailed metrics, it doesn't allow for much customization beyond the pre-loaded reports. Cloudwatch by itself is a great start to monitoring your cloud environment. However, we would recommend using multiple monitoring tools to get a more complete view of your overall cloud environment health. We are using Amazon CloudWatch to monitor our entire cloud operation. Then pulling CloudWatch metrics into Ansible and Chef, we are able to proactively fix any issues with little to no human interaction. Amazon CloudWatch is a cloud services platform developed by the US giant Amazon Cloud. AWS brings together more than 50 services in categories such as cloud storage, computing power, data analytics, artificial intelligence, and even video game development. Even Though Amazon CloudWatch was meant to allow for an easier configuration and management of solutions in the Cloud, it is quite Costly and is sort of a "Closed" System that does not collaborate much with other systems. I would recommend however that that tool be given additional manageability and allow for better integration with other tools instead of being a sort of a closed system. This would greatly benefit users and allow synchronisity. The Main Benefits that is reaped from using Amazon CloudWatch is the ability to have to rely on the Cloud and its expanse of capabilities. It gives one the opportunity to manage the system with just a connection to the cloud versus having an on-Prem tool that would need to be installed and managed. "Built In Logging and Alerting for AWS"
La mejor parte de CloudWatch es la capacidad de configurar y eliminar alarmas que pueden comunicarse con el servicio Lambda de Amazon para ejecutar funciones automáticamente. Esto es útil siempre que necesite escribir algo cada vez que se alcanza un determinado nivel de uso. Con tantas opciones de métricas diferentes disponibles, a veces puede ser difícil obtener el tipo exacto de métrica que desea sin tener que tener una gran cantidad de opciones de métrica. El problema comercial con el que se topan la mayoría de las pequeñas empresas que no están en la nube es el de su uso. La cuestión de si estamos usando nuestros servidores de manera efectiva no es siempre una información fácilmente disponible para ver. Con Amazon CloudWatch combinado con balanceo de carga elástico y escalado automático en instancias EC2, este proceso de escalar hacia arriba y hacia abajo el número de instancias EC2 se convierte en una brisa y un medio efectivo de computación en la nube. If you're just starting out with smaller applications in the AWS cloud, then AWS cloudwatch is the right tool. When your company starts growing, along with your software becoming more mature, you may end up piping your logs to another system in order to do more analytics on it and gather better insights. I would like the ability to create more customizable dashboards. The way log streams are used feels very counterintuitive. We manage hundreds of virtualized machines in the AWS cloud, so we need a place to look up logs from all of these machines. We use cloudwatch in debugging production issues and tracking trending data. Devs use it in our dev environment to debug new code. its capabilities like to set high resolution alarms, visualize logs and metrics side by side, take automated actions, troubleshoot issues, and discover insights to optimize your applications, and ensure they are running smoothly. There is a lot for improvement required. use its capabilities like to set high resolution alarms, visualize logs and metrics side by side, take automated actions, troubleshoot issues, and discover insights to optimize your applications, and ensure they are running smoothly. Cloud Watch helps my team with data and actionable insights to monitor our applications, understand and respond to system-wide performance changes, optimize resource utilization, and get a unified view of operational health. "One stop shop for AWS Metrics"
Easy to customize based on your requirement. We integrated this with Pagerduty for alerting. 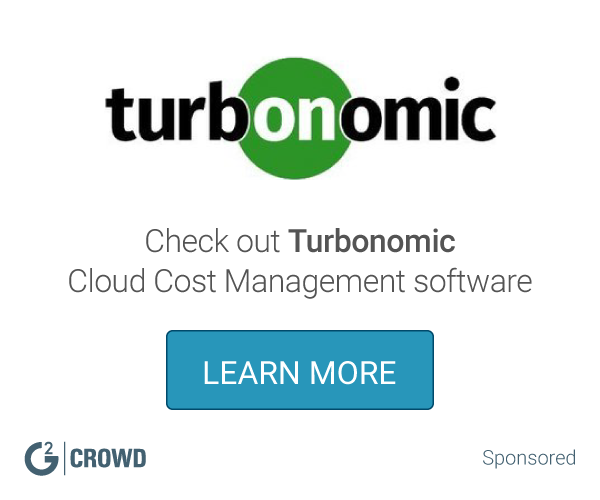 Valuable tool for DevOps and Developers alike to troubleshoot Cloud infrastructure run time. I love the dashboard which is created for beanstalk shows breakdown of TPS, healthy/unhealthy host along with other metrics. This is a managed service so easy viewable through AWS console or CLI. For customized solution you use AWS SDK. The metrics are skewed up to 5 mins. So you can check metrics for last 5 mins and not up to the minute. It may take some time for new users to learn the nuances of this tool. If you are on AWS you will be using AWS Cloudwatch. We use this actively for metrics on SQS, Elastic Beanstalk, EC2 etc. Once your project is out running you can see how different metrics all tie up together. You can build a dashboard of all the metrics you are interested in. We also have created alarms custom to our application. You can cron (time based events) to trigger defined actions or lambda functions. Very useful to actively monitor your cloud infrastructure. We use this tool for alerting and constantly monitor our Cloud infrastructure. "Relatively easy to use, confusing naming"
Minimal interface, pretty intuitive, lots of functionality. Let's you schedule actions or trigger actions in response to events in your AWS environment. AWS service names are confusing -- I thought CloudWatch was used for logging, didn't know it could also be used to schedule actions as well. The cron expressions used to select when to run actions are a bit of a hassle to figure out -- AWS could easily design a GUI for this or link to more concise documentation with better examples. Probably need someone familiar with AWS to get up and running, otherwise, might consider a COTS product to interface with CloudWatch. I've used to trigger AWS Lambda functions, commands on EC2 servers, SNS push notifications at designated times. This saves costs -- I don't need to stand up a EC2 server on an ongoing basis just to run cron jobs throughout the day. "cloudwatch is very useful service"
best service to monitor and take care of our system, its collects the data and compile with condition we set if matched then it send the mail, we check the alert and check in our system for problems and solve them, it is very important and widely used services of AWS. very strong and useful service of amazon to monitor and take care of health and wealth of servers and services. very strong and useful service of aws to monitor health and wealth of servers and services, most used service i can say. I can view all logs, keep track of sales volumes for each day, week, month, etc. Which allows me to see where we are struggling. I also loved being able to supply my own logs for data, memory usage, sales volume, etc. It's nice being able to implement these things, although I thought the software did a good enough job on its own. I just wish their customer service had been more efficient. If they fix that, then I'll be a customer again in the future. There were not enough options to support what we needed it for and customer service wasn't all that great either. It's great for everything it does, but their customer service really needs to improve. Once that happens, it'll be the best out there. It's allowing me to monitor all of our sales volumes. I realized it was excellent with keeping track of data usage as well through our company. * We monitor all Amazon CloudWatch reviews to prevent fraudulent reviews and keep review quality high. We do not post reviews by company employees or direct competitors. Validated reviews require the user to submit a screenshot of the product containing their user ID, in order to verify a user is an actual user of the product. Hi there! Are you looking to implement a solution like Amazon CloudWatch?